Where Does Your Money Go With Vancity Credit Union? Do you think about shopping at local businesses or making sure you recycle or use a reusable shopping bag? We all make choices every day that align with our own personal values. Have you thought about the fact that when you deposit your money, it isn’t just sitting in a vault somewhere, but it’s actually working on your behalf? Do you know what your money is doing? I’ve had an intimate opportunity to discover what my money is doing for myself and others and the discovery was so powerful that it changed how I will forever spend my money. Last week, I had the pleasure of spending a full day with Vancity Credit Union. We aimed to spend the day doing what I would usually do and go to my favourite places while adding in some informative stops that would help me understand my local community. Do you ever think about the difference between a credit union and a bank? In a nutshell, Credit unions are not-for-profit financial cooperatives, whose earnings are paid back to members in the form of higher savings rates and lower loan rates. Banks are for-profit corporations, with declared earnings paid to stockholders only. … Competition between banks prohibits a sharing of resources. One seems to benefit you and your community over the other, but I’m not here to tell you that who you’re banking with is wrong. It’s important we ask questions to have a better understanding that our money does have power to influence the communities we live in and our future. 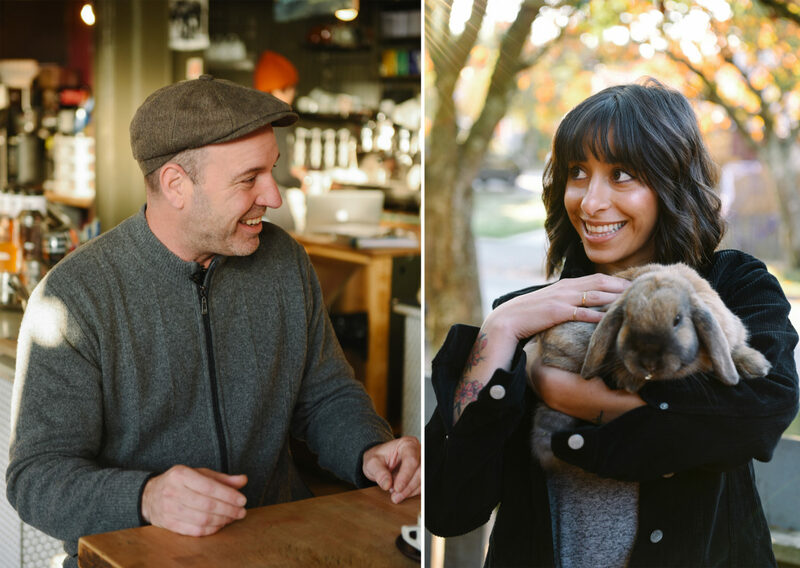 Throughout my day with Vancity I had a one-on-one experiences to chat with the owners of my favourite businesses and learn about how they go started, how Vancity helped them, and how the loop of helping the community is a constant between Vancity and its members. To better understand what I’m talking about, read on, but before you do, take one minute to watch this video we put together capturing the highlights of my day. Using one of Vancity’s long standing members, Modo Car Coop (car share), I headed straight for my first stop where I would meet Elizabeth Lougheed Green, Director of Community Investment at Vancity. Elizabeth educated me on exactly what happens to my money after I deposit it. Once you have deposited your funds into your account, that money is then used for projects, developments, economic growth. Your money is essentially lent to the community you live in, where you will see new businesses grow. When you spend your money at those businesses, they do well, they make money and the profits they make go straight to you as a shareholder. Each year, 30% of their net profits go back to Vancity members. This is called Vancity’s Shared Success program. So, how does Vancity choose what businesses to work with? Vancity chooses to with work with brands that are aware of the economy, employment and have an ec0-friendly mandate. Scroll down to read about the amazing businesses who are Vancity members that I frequent and got to spend my day with. Additionally, if you want to take part in this conversation, use the hashtags #WhatsYourMoneyDoing & #BankingOnValues on social media. My first stop for breakfast & coffee was at Le Marche St. George in East Vancouver where I would meet Pascal Roy, the owner. I would like to introduce what Le Marche St. George is to you but I wouldn’t be able to do it justice so I’m going to leave it to their own words. Everything you read above is encompassed in Pascal’s beaming smile and open arms & open door policy. Feeling like I was a part of the LMST family, I sat down with him to chat about his relationship with Vancity and how they’ve helped him become a pivital part of our Vancouver community. The impact that Le Marche St. George has had on the community is in the details. In the 8 years of business, Pascal and his family / team have seen families in the community grow, met new friends, has provided a place for people to meet and spend their special moments. He believes that you create communities by creating places and he has done just that. Vancity helped Pascal open his business and has since done their part to provide him with the information and means necessary to grow it. My next stop was the ISS of BC. I bet most of you have not heard of this center before, I know I didn’t. We read many articles floating around the internet about refugees and immigrants that come in Canada to start their lives over. Most of them come from war torn countries and don’t know where to start when they arrive in Vancouver. They fly into Vancouver airport or walk across the boarder with nothing but their hopes and what luggage they could bring with them but where do they go next? They are immediately sent to the ISS of BC Welcome Center where they be welcomed with opened arms and assistance on starting their new life in our community. I chatted with Chris Freisen, Settlement Services Director to learn more about the opportunities that the ISS of BC offers. 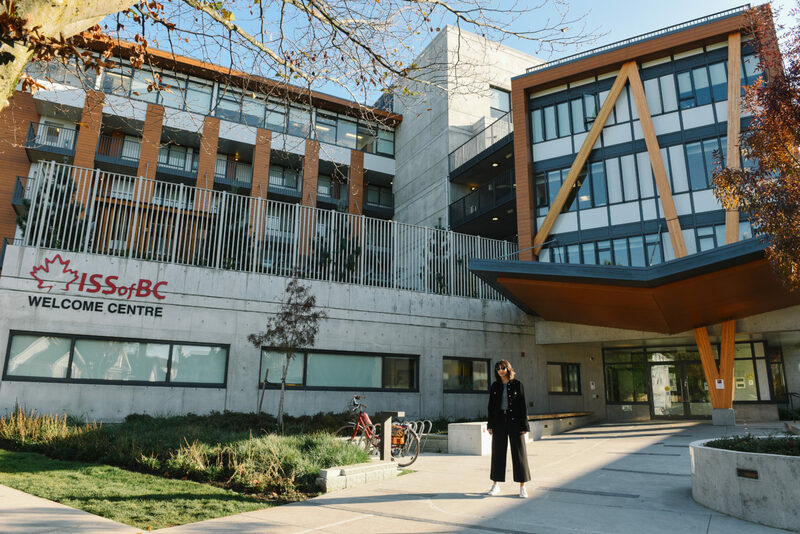 The ISS of BC Welcome House provides refugees and immigrants with not only basic services like housing, a childcare center and a medical clinic, but they go beyond and help people get on their feet with things like education services and trauma support. Vancity has been partnering with ISS of BC for 20 years to open basic bank accounts for refugees and as an onsite staff member to assist with all of their banking needs. 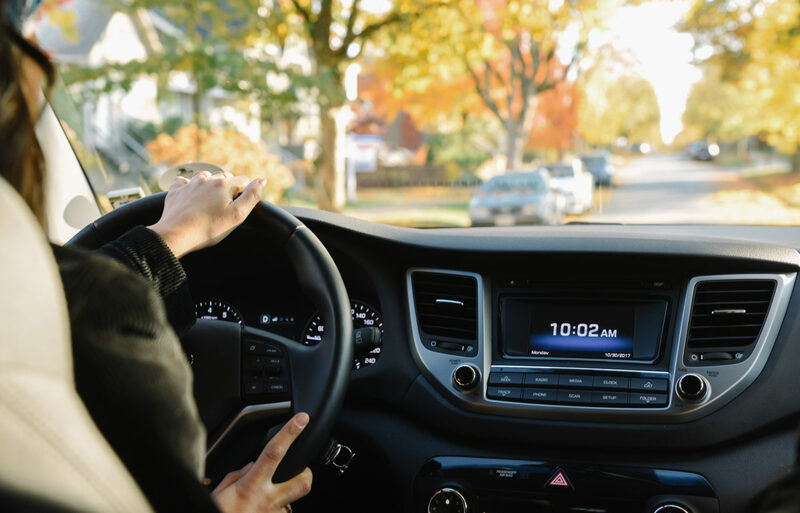 The Welcome Center is in the heart of an East Vancouver neighborhood among homes and businesses to provide transparency between our community and our newest members. The open concept of the welcome center has provided newcomers with a feeling that they are immediately a part of our community and has been a contributing part of positive change. To learn more about the ISS of BC and how they’ve partnered with Vancity, click HERE. Continuing our tour, we headed to one of Vancouver’s growing businesses, Woodlot, where I would meet with owners Sonia and Fouad. With its origins steeped in family tradition, Team Woodlot keeps future generations in mind. That’s why each Woodlot candle is handmade with care using clean-burning, petroleum-free coconut wax. All body products are made in small batches with specially-selected ingredients from near and afar. 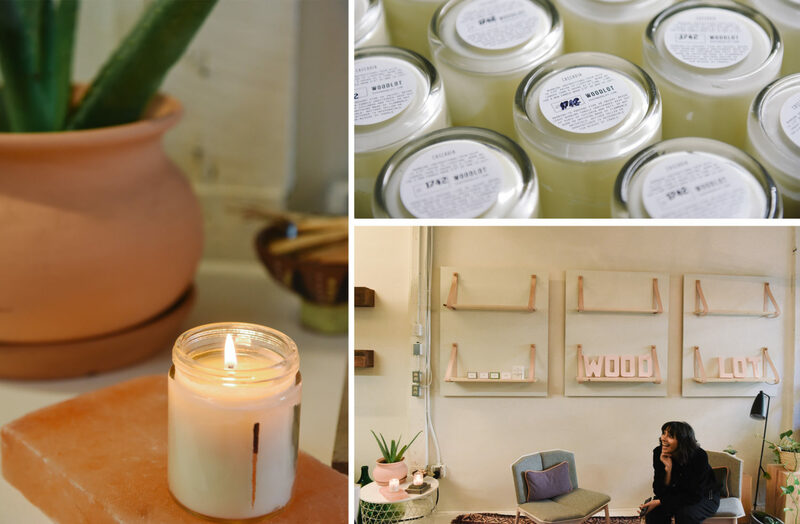 The team at Woodlot uses techniques that have been passed down from their families and believe in making candles that smell like home. Vancity has helped Sonia & Fouad grow their businesses by adding new machinery for production, packaging and growing team to assist with their ongoing order schedules. I’ve been burning Woodlot candles for the last 4 years and it certainly leaves me with scents from my childhood. Growing up, my parents would burn scents throughout the home and I find similarities from Fouad’s inspirations taken from his home in Lebanon. 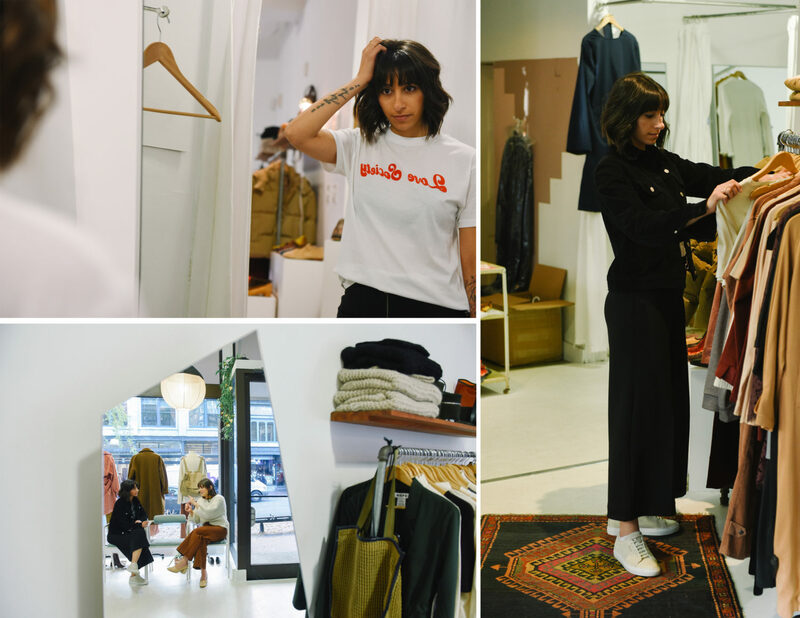 We needed to get our fashion fix in so we headed to one of Gastown’s must-shop-at-boutiques and a personal favourite of mine, One of a Few to meet with Owner, Michelle Rizzardo. 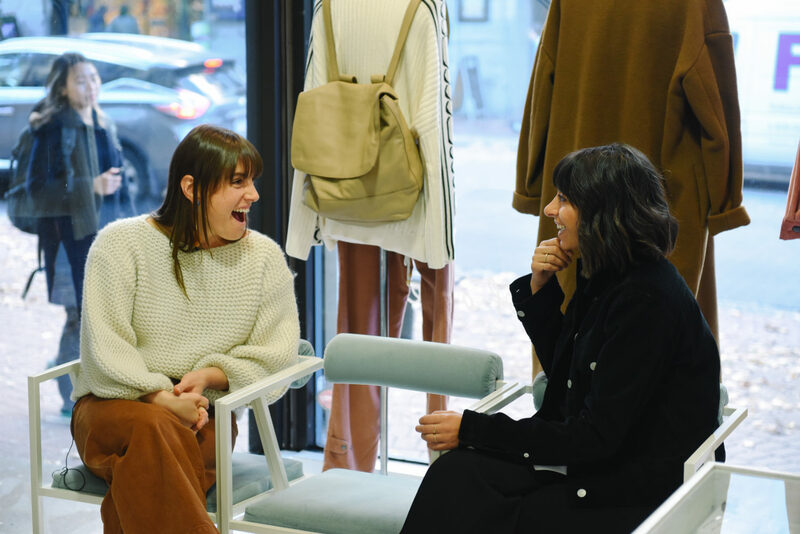 One of a Few, established in 2005, is beautifully curated with thoughtfully selected clothing, footwear, bags and objects from creative designers around the world. One of a Few has created a uniquely curated selection of well known indie designers as well as emerging designers who are carving a space for themselves in fashion. Michelle prefers to bring on brands who have an eco-friendly mandate with fabrics that are ethically sourced. 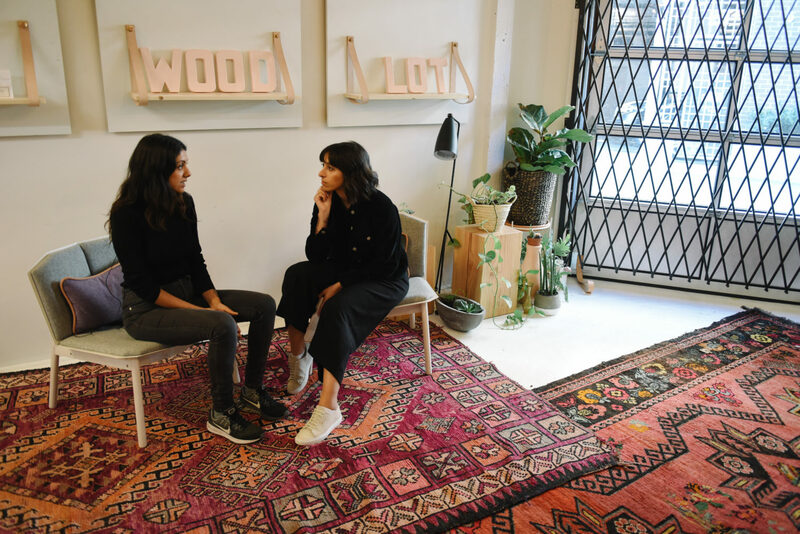 In doing so, this provides an impact on what we buy and takes the positive change she wants to see in the world, into her store and into our closets. 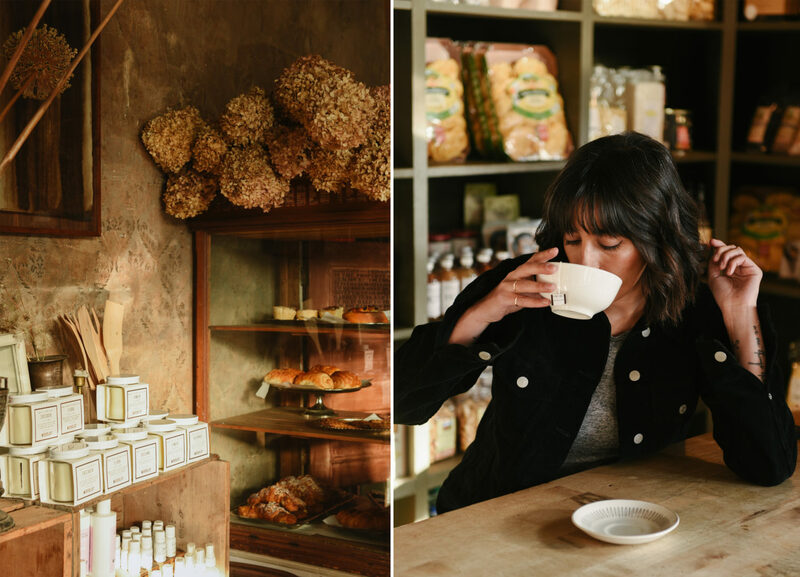 I definitely feel better know that I’m spending my money on slow-fashion as opposed to fast-fashion and more specifically in a boutique who shares my values. After popping into Michelle’s store so many times before, I have a different point of view knowing that I know where my money goes. Our final stop was at my favourite spot to grab a fish taco. Like, seriously, it’s THE BEST fish taco you will ever have. 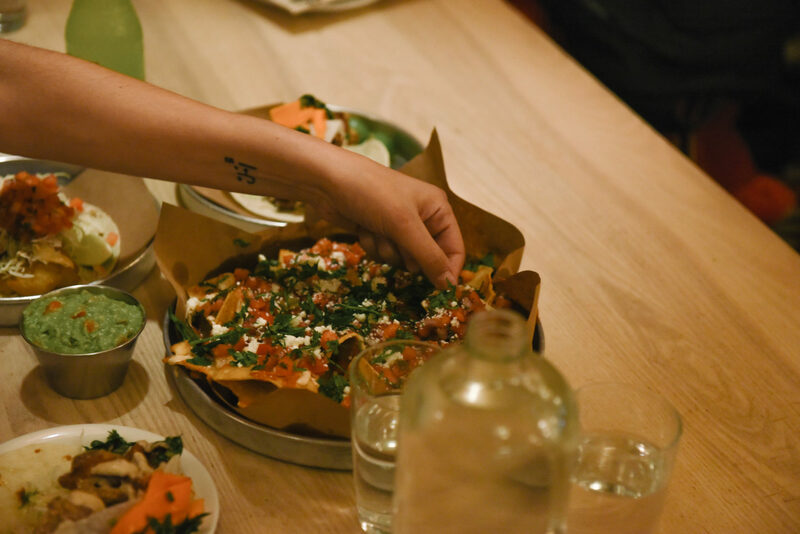 Tacofino began from the back of a surf shop parking lot in Tofino, British Columbia and emerged a concept – to infuse the experiences of their travels with our West Coast roots, and bring them to life in a beachside surf town. Tacofino opened their first Vancouver doors the same year that I started my mortgage with Vancity. This is literally where my money went! Vancity provided a $350,000 Canada Small Business Financing Loan for Tacofino to purchase new equipment and renovate the space at 15 West Cordova Street. But Vancity’s involvement goes well beyond the provision of financial services. They’ve also made the introduction of Recycling Alternative to Tacofino, which helps them reduce carbon emissions from organic waste and truck fuel. Tacofino is considered a meeting spot for my friends and I. Now with expanding locations, they’re creating more spots for us to connect within our community. 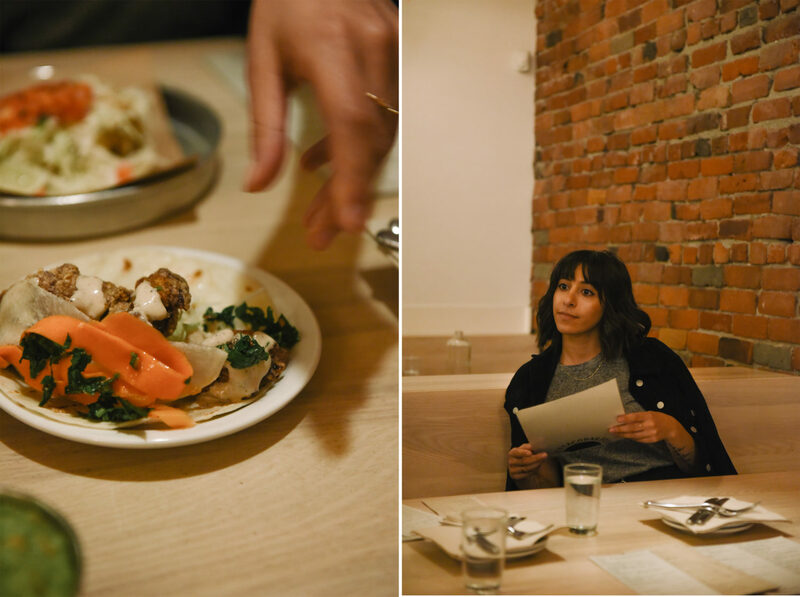 To learn more about Tacofino and how they’ve partnered with Vancity, click HERE. Before chatting with Vancity and the above businesses, I didn’t know what my money was doing and I didn’t understand the difference between a credit union and traditional bank. I was also unaware of the impact that my favourite retailers had on our community and how I had a part in growing them! If you’re a Vancity member, you can know that when you shop or eat at any of these local businesses, the money is having a direct impact on your community and you’re part of the reason these incredible businesses exist. Thank you to Vancity and their incredible members for taking me on this jam-packed journey! 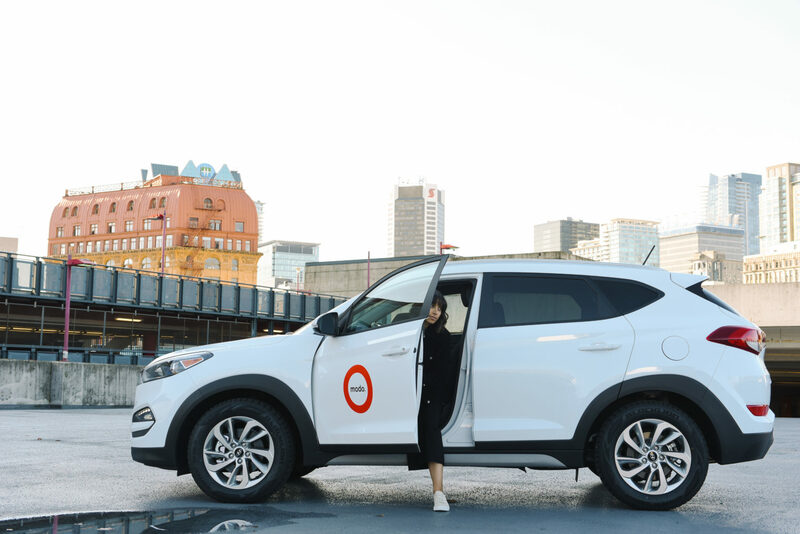 To learn more about the Modo car share and how they’ve partnered with Vancity, click HERE. Videography by Vancouver videographer Jonathan Spooner.